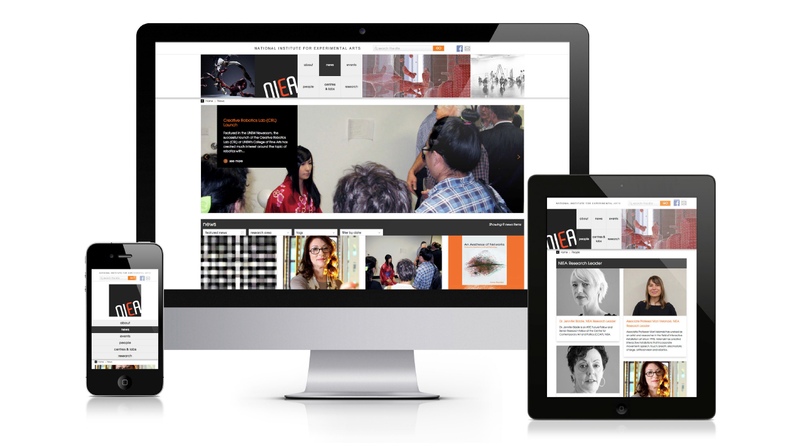 For the National Institute of Experimental Arts, Holly Sydney built a custom responsive Drupal website. The site features artworks, artists, and performances. It is heavy in multi media and frequently updated, requiring a flexible, robust CMS with a cross compatible front end. Our open source Drupal solution offered NIEA staff the versatility and stability they needed, while maintaining cross-platform support and an easy to update back end.